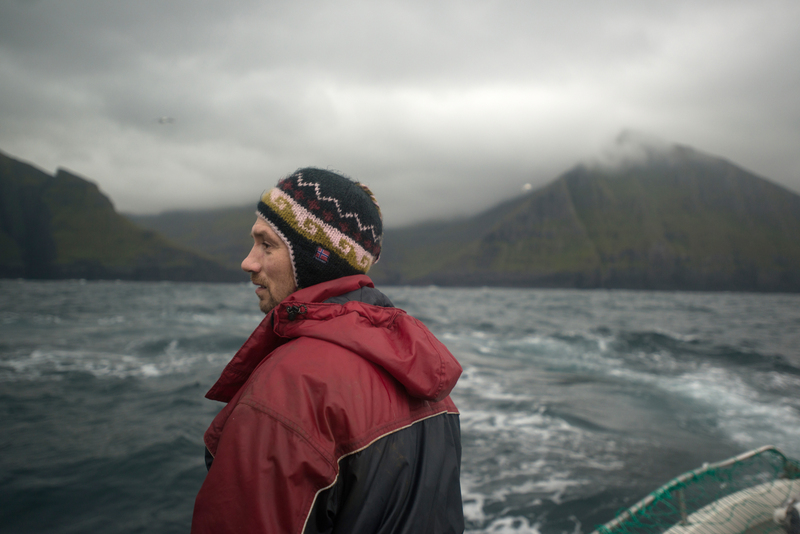 Faced with health risks from industrial pollution, Faroese are reexamining their deeply held whaling tradition. The recent documentary film “The Islands and the Whales” looks at the difficult choices they face. In the opening sequences of Michael Day’s recent documentary “The Islands and the Whales,” snow-dusted peaks rise out of a dark ocean and steep slopes are draped in luxurious green mosses. 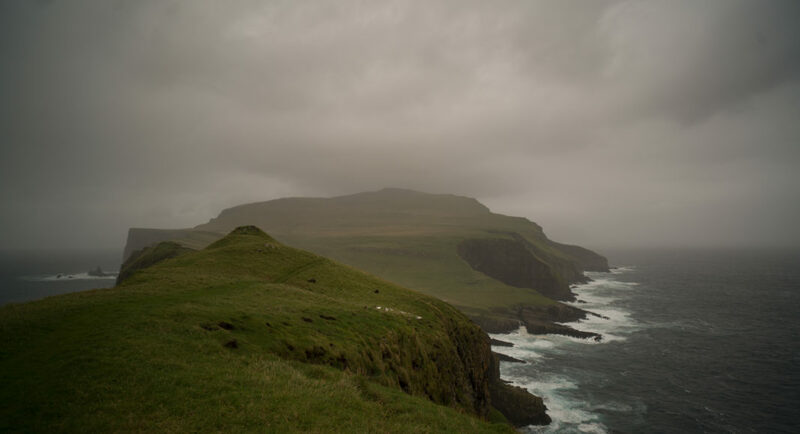 The Faroe Islands, an archipelago halfway between Norway and Iceland, seem steeped in nature. Gannets and gulls wheel overhead, and the sleek arched backs of long-finned pilot whales break the ocean surface. A moment later, fishing boats bob gently in blood-stained water. 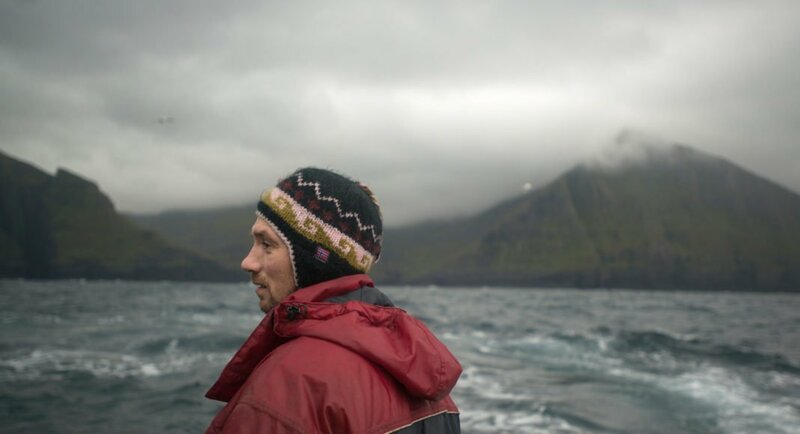 Like many northern communities, the Faroese rely on the oceans for their food, and while fishing is a mainstay, for centuries, they have also hunted pilot whales. When the whales swim close to Faroe Island communities, hunters herd them into bays, where they are quickly killed and butchered, their meat and blubber divvied up among families. In a few short minutes, the film, which recently debuted in the United Kingdom, lays bare the islanders’ predicament. The pilot whale they have eaten for generations is now contaminated with mercury and other chemicals, including PCBs, that have often travelled long distances from the south. If they continue to eat it, they may face serious health problems. But if they give it up, they will lose a bond that links them to nature, their culture and their traditions — and puts food on their tables. Pál Weihe, the head doctor for the public health department, is a central figure in the film, and he embodies the painful choice forced upon his homeland. More than 500 years ago, the Faroese began keeping catch records of pilot whales and other cetaceans, but the history of the hunt, known as the grindaráp, or grind (rhymes with finned), may date back even further. For all those years, the animals were central to both the kitchen and the culture. Of the close to 50,000 people who live on the islands today, almost all of them eat pilot whale. They eat wind-dried whale and salted whale, they fry up whale steaks and boil whale meat and blubber and serve it with potatoes. In some families, it’s eaten daily. Hundreds of years ago, the animals likely carried few toxic chemicals in their flesh, but today they are so laden with mercury, PCBs and other contaminants, that Weihe no longer believes the Faroese should eat pilot whale. There are natural sources of mercury — volcanoes, erosion — but humans are responsible for the vast majority of mercury emissions. Burning fossil fuels, especially coal, waste incineration and mining all release mercury into the atmosphere. We also dump mercury-laden industrial effluent into rivers and oceans. And climate change is now releasing massive quantities of mercury from the permafrost into rivers and oceans. Even though the pollutants are, for the most part, not produced in the north, they eventually make their way there, and into the bottom of the food chain. When one animal eats another that is spiked with mercury, it accumulates. Pilot whales, high on the food chain, amass these pollutants in their muscles and blubber. In some forms, mercury is a powerful neurotoxin. In adults, it can lead to tremors and memory loss. It can harm brain development in children, slowing the transmission of electrical signals from one neuron to the next. 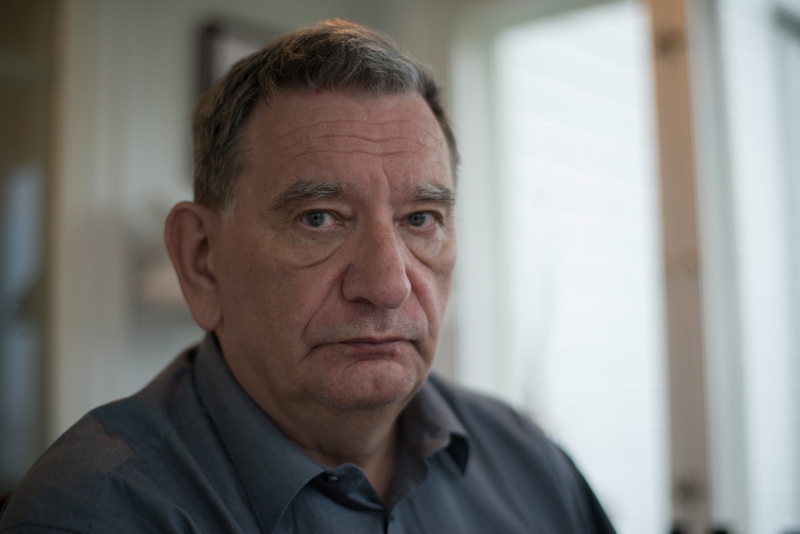 Weihe has followed the health of more than 1,000 Faroese children for 30 years. Some kids with high mercury exposures have trouble processing sound, which affects their language skills, attention span, and learning. It can all be hard for a parent to accept. When Weihe tells fisherman Bárður Isaksen that his children’s blood-mercury levels are at the higher end of the scale, levels associated with small delays in development, Isaksen’s parental instinct kicks in. “My children are fantastic. I don’t think they’re behind other children. Not at all.” he says. 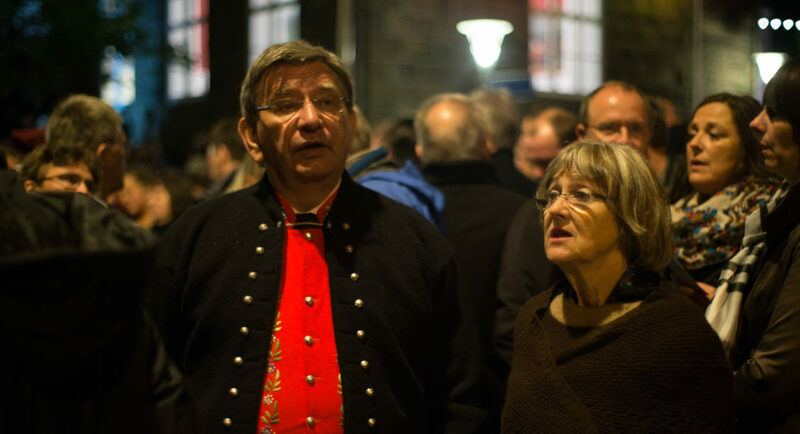 Still, he and his wife talk about cutting back on the amount of whale meat they eat. Outsiders may cringe at the thought of killing and eating pilot whales. One segment of the film documents the arrival — and interventions — of members of the anti-whaling group Sea Shepherd Conservation Society. From boats and on shore they try to disrupt the grind. During a press conference that includes former Baywatch star Pamela Anderson, the activists encourage the Faroese to become vegetarians. But there is not a lot agriculture in the Faroe Islands beyond potatoes, turnips and some greens. Fresh fruit, most vegetables, and grains, as well as beef and pork are brought in by ship or plane, which are not without their own environmental impacts. 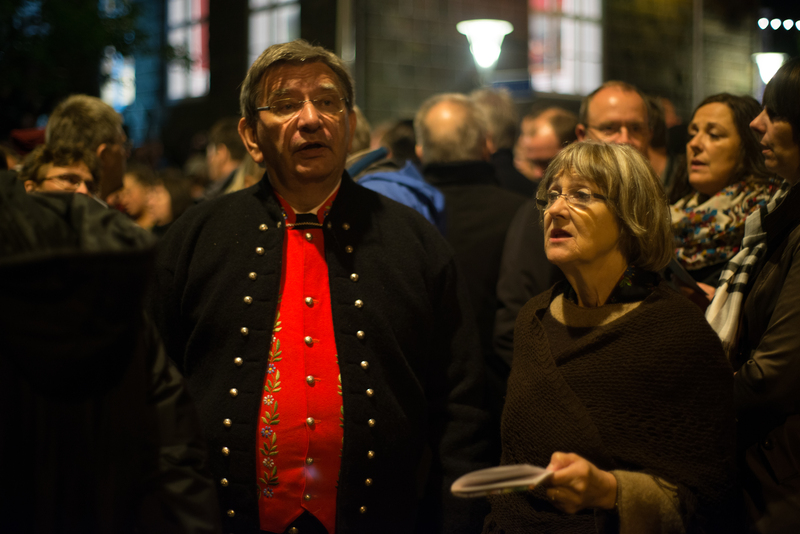 The whale hunt, one man in the audience points out, means the Faroese eat less imported foods. The Faroese say the hunt is sustainable. The grind is far from the industrial whaling that occurred elsewhere during the 19th and 20th centuries and drove many whales close to extinction. The Faroese hunt is highly regulated, and over the past 18 years they have caught, on average, 636 pilot whales annually, although the numbers range from zero to 1,203. At this level, the catch should not threaten the conservation status of the long-finned pilot whale, whose population runs an estimated 100,000 individuals. Day says he spent 53 weeks over the course of four years capturing the struggles of the families he follows in “The Islands and the Whales,” and change is present throughout. Tens of thousands of puffins have vanished within a generation. Young fulmars have bellies full of plastic. Even fishermen are becoming scarcer, trading their boats for desk jobs — and no longer available for a last-minute hunt. 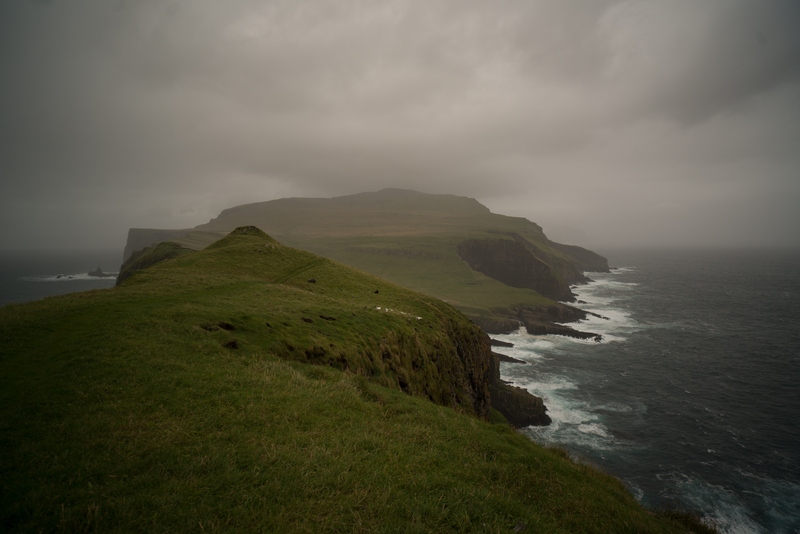 Early on the film introduces the Faroe Islands huldúfolk, “hidden folk” or elves that lived in darkness and were deeply connected to nature. According to a storyteller in the film, the huldúfolk would warn humans of danger or explain to them the things they didn’t understand. As the folklore goes, they disappeared when modern humans stopped respecting nature. Watching the film, I couldn’t quite shake the idea that Weihe — whose message remains constant throughout — was performing this task: warning, helping, explaining. 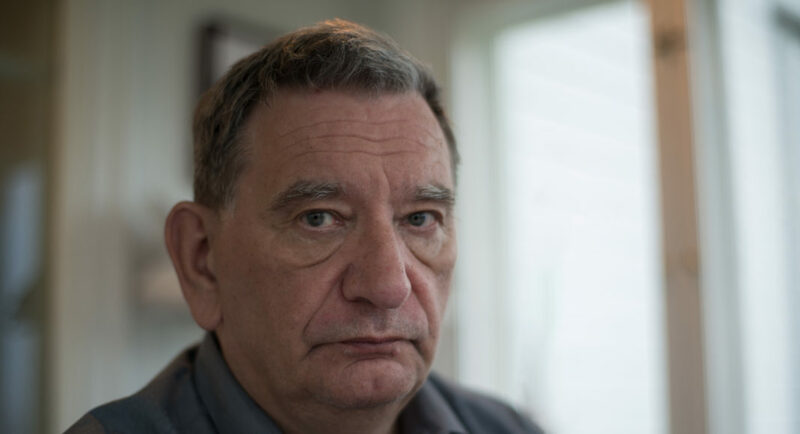 In doing so, he faces a personal dilemma; he knows his research and warnings will change the Faroese identity, yet he says he couldn’t live with himself if he didn’t warn them all.